NOTE: This only applies when backing up to AWS. When you added your AWS account as a destination, you gave Arq a "key pair". If you had created an administrator IAM user as demonstrated in our video, you can now easily create a custom IAM user with just enough permission to back up your files. Arq will create a new IAM user in your AWS account, assign it just enough permission to read/write your computer's backup data, and switch to using that IAM user. 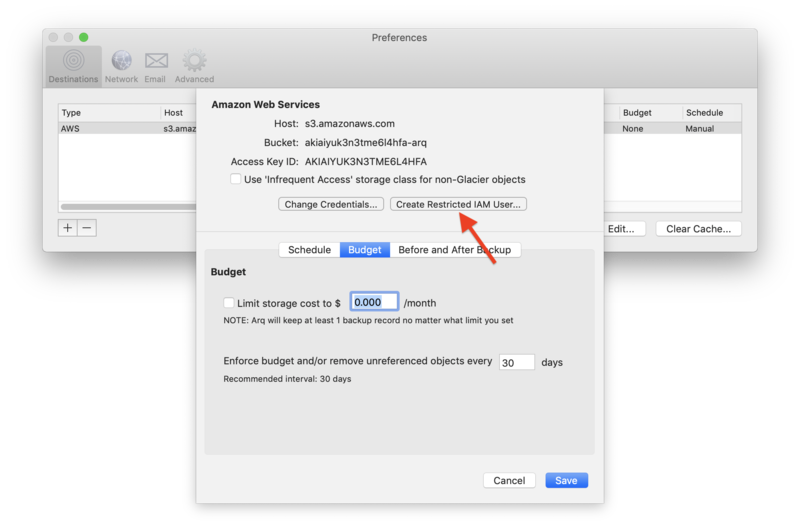 Once this is complete, you can delete the original admin IAM user via the Amazon console.